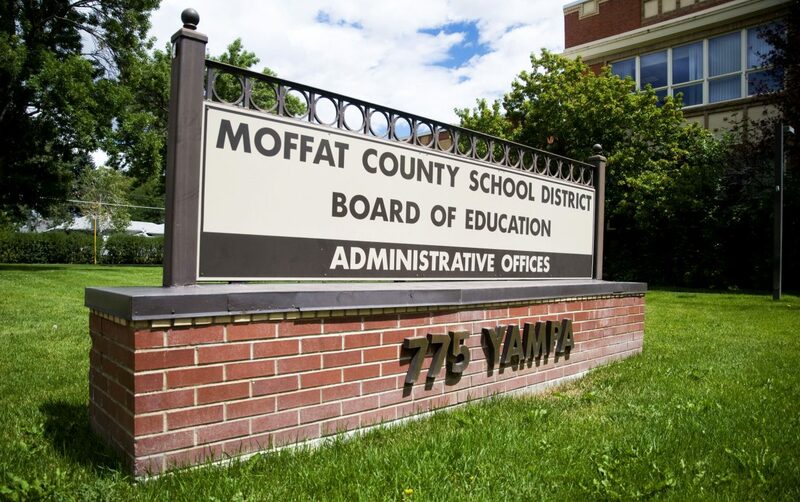 CRAIG — The Moffat County School District Board of Education is set to discuss a potential reconfiguration of the board when it meets for a work session at 4 p.m. Thursday, June 28, in the boardroom of the Yampa Building, 775 Yampa Ave. The work session will be followed by the board’s regular meeting at 6:30 p.m. In April, the board took the first steps in creating a ballot measure, which, if approved by voters, would retain a seven-member board, but would reduce district-specific seats from seven to five and open two seats to candidates at-large. The proposed change was prompted by an inability by the board to fill its seventh seat, which is specific to District 6. So long as no one living in District 6 — an area roughly north and east of Craig — comes forward to fill the seat, it will remain vacant, leaving the board vulnerable to deadlock. The change is intended to open the seat to at-large candidates and, hopefully, increase the number of potential candidates for the post. Thursday’s work session agenda also includes the following. Policy discussions about federally mandated family and medical leave, compensation guide and contracts for certified employees, graduation requirements, movies, activity/athletic fees, suspension/expulsion and denial of admission and student fees, fines and charges. Policy hearings about unpaid leave, professional staff, prefessional staff recruiting/hiring, paid personnel annual and extended illness leave for certified employees, conferences and visitations and paid personnel annual and extended leave for classified employees. The agenda for the board’s regular meeting includes the following items. Approval of meal prices for the 2018-19 school year. Approval of activity/athletic fees for the 2018-19 school year. Approval of Moffat County High School class fees for the 2018-19 school year. Approval of the 2018-19 MCEA negotiated agreement. Adoption of the 2018-19 budget. Second reading of a policy involving unpaid leave. Second reading of a policy involving professional staff. Second reading of a policy involving the recruiting and hiring of professional staff. Second reading of a policy involving paid personnel annual and extended leave for certified employees. Second reading of a policy involving conferences and visitation. Second reading of a policy involving paid personnel annual and extended illness leave for classified employees. First reading of a policy involving federally mandated family and medical leave. First reading of a policy involving the compensation guide and contracts for certified employees. First reading of a policy involving graduation requirements. First reading of a policy involving movies. First reading of a policy involving activity/athletic fees. First reading of a regulation involving suspension/expulsion and denial of admission. First reading of a policy involving student fees, fines and charges.